Prominent & Leading Exporter from Anand, we offer 150 mm bagasse elevator conveyor chain, bagasse carrier chain, cane carrier chain and scrapper chains. Breaking Load : 40 Tonnes to 100 Tonnes. 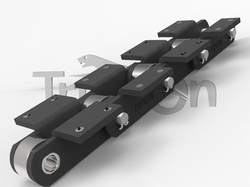 Tripcon Chains are widely used in Sugar and other allied industries.Also Available in Varied Metallurgical Combinations of Carbon,Alloy and Stainless Steel with appropriate Heat Treatment and Surface Finish. 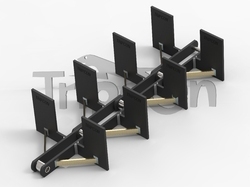 Tripcon Chains are widely used in Sugar and other allied industries. Also Available in Varied Metallurgical Combinations of Carbon,Alloy and Stainless Steel with appropriate Heat Treatment and Surface Finish. We offer our customers with an impeccable range of Cane Carrier Chain. Products that we offer are highly accredited for their attributes like balance of performance, reliability and others. Our team of experienced professionals manufacture the entire range as per industry set standards and norms. Moreover, patrons can avail these in various sizes, grades and specifications. 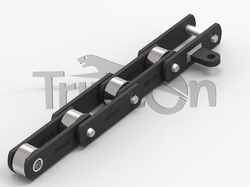 Tripcon has 25 years of experience to make excellent quality scrapper chains. 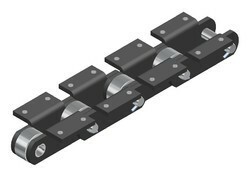 Scraper conveyor chains are primarily used for asphalt paving machines. By means of attachments joined to the chain, they can carry the asphalt concrete horizontally that is semi solid. The material is gravity fed. In these road surfacing machines, this engineering steel paver chain is a core transmission component.Our chains are heat treated and are of very good quality. We avail the chains at very customer favorable price. Looking for Sugar Chains ?